If you have purchased access to the Ultralight Backpacking Boot Camp Online Course, you can access the main course index page here (note: you must be logged in with the same account you used to purchase the course!). Login with your Unlimited Membership Account. Visit your Membership Dashboard by clicking "My BPL" in the top navigation menu. 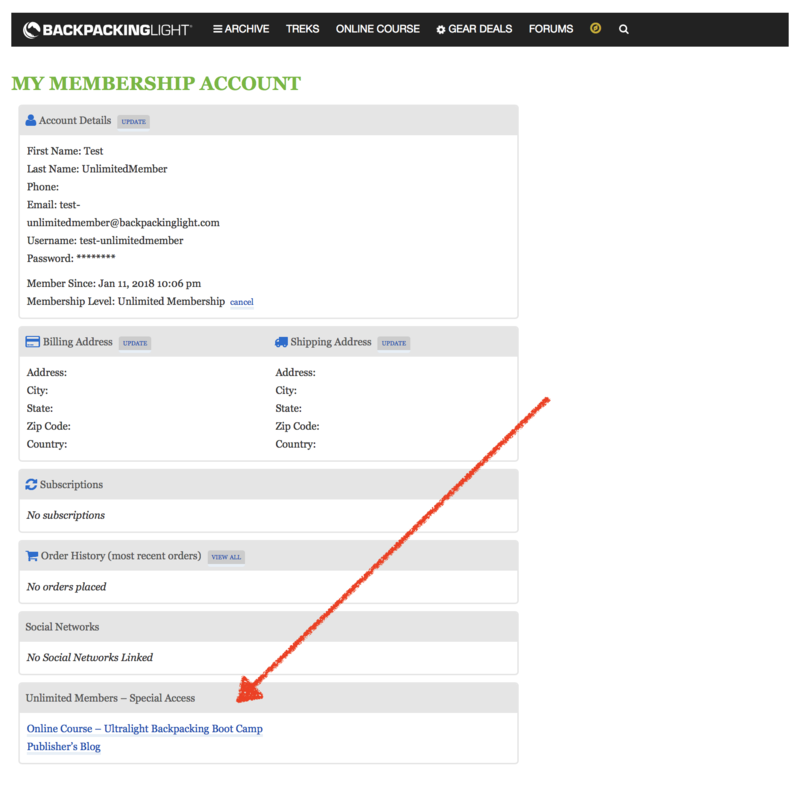 From the Membership Dashboard, click "Membership Info".